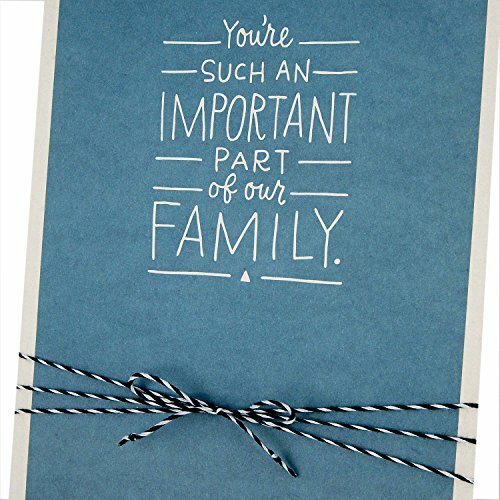 Front Message: You're such an important part of our family. 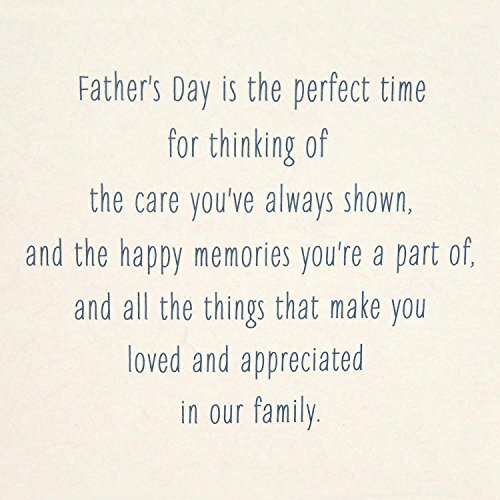 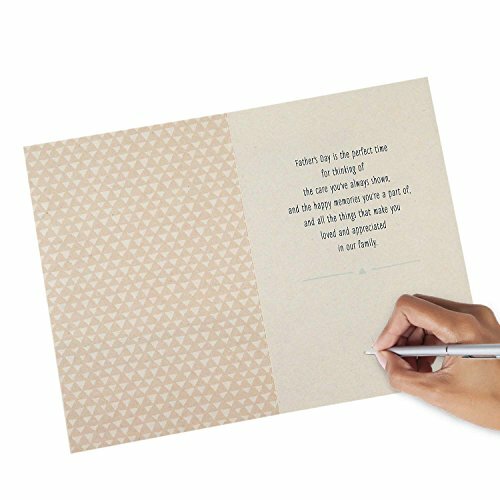 Inside Message: Father's Day is the perfect time for thinking of the care you've always shown, and the happy memories you're a part of, and all the things that make you loved and appreciated in our family. 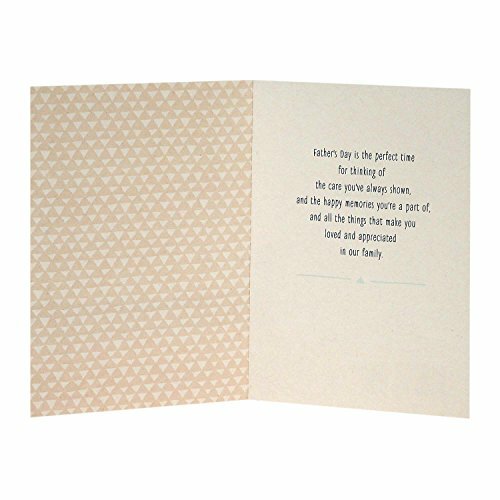 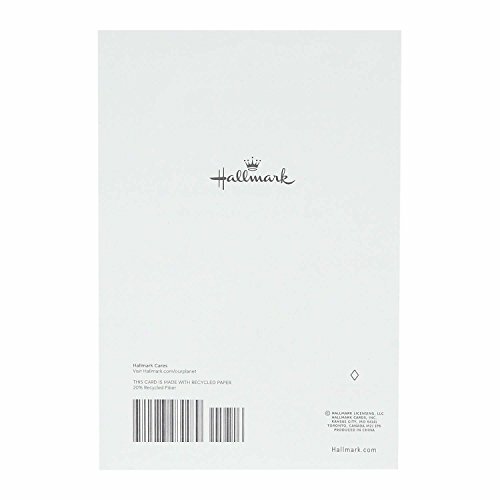 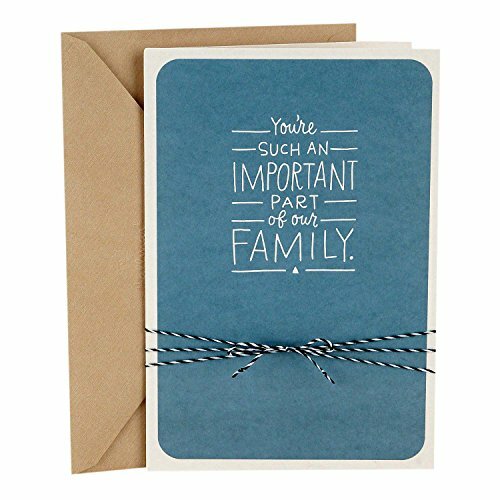 This card's design features a blue background with a white border and black and white strings tied in a bow across the front.